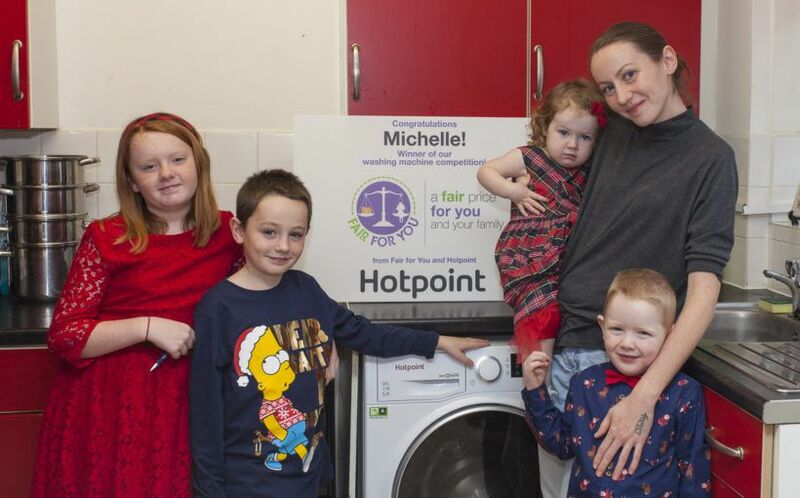 2nd Winner of the Hotpoint Energy Efficient Washing Machine is another Michelle & her family from Northolt! She has had a difficult year of having to move due to damp, having to use the laundrettes when their last machine broke and caring for her son, who had surgery for the hole in his heart. Having an energy efficient washing machine makes life just that bit easier this time of year. And thank you to our suppliers at Whirlpool and Dorset Homes for the donations of the Washing Machine and gifts.